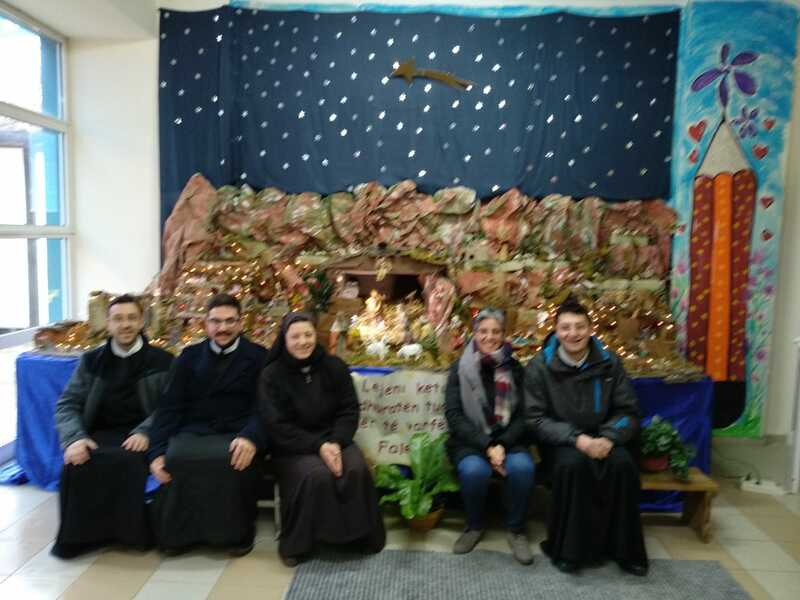 (Gjirokastër, Albania) The interprovincial Redemptorist community of Albania is celebrating its fifth Christmas. As is known, Albania lived through the atheist-communist dictatorship of Europe until 1991, which eliminated the religious sense of these dates. When the official atheism of the state was established, Christmas was called “New Year’s parties” and the Christmas tree became the New Year’s tree. 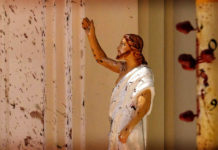 Today, although there is religious freedom, the importance of the new year still remains in the minds of the people over the celebration of the Birth of Christ. In addition, Catholics and Orthodox are about 21% of the population, with a Muslim majority. But before the Redemptorists came to the “Land of the Eagles” and the dictatorship of Enver Hoxha forced to renounce religion, St. Alphonsus was already present at the Albanian Christmas. Dom Ndre Mjeda translated “St. Alphonsus! The priest and poet” in the Albanian and popularized the famous carol of Saint Alphonsus “Tu scendi dale stelle”, composed by our Founder in 1754. 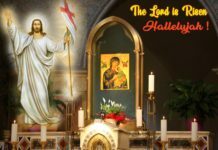 His translation preserves, not only the popular and melodic style conferred on him by the Neapolitan Saint but also managed to preserve the meaning of each of the expressions that bring the believer closer to the miracle of God incarnated. 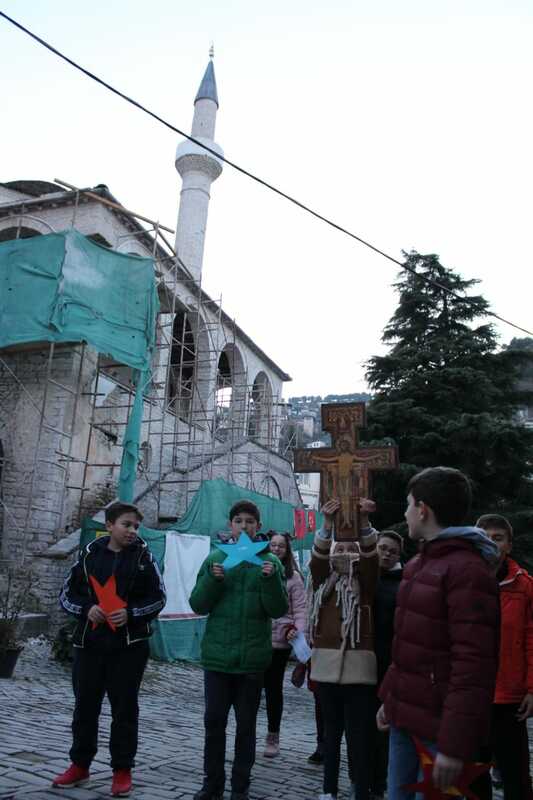 In the fourth week of Advent, however, the Redemptorist Missionaries of Albania preached their first mission in a Catholic community in the southern part of the country. It is certainly a first experience, which preserves the first missionary spirit of our charism. In Gjirokastër, a world heritage city according to UNESCO, Catholics are a real minority: their baptism book includes about 70 people. The heart of the community is the home of the Daughters of Christ the King, who also have a school called José Gras, as its founder. The friendship and the desire to share made the dream of the inter-congregational mission become a reality. 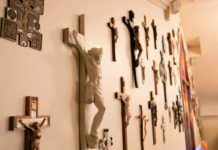 From then onwards the Redemptorists and the Franciscan Sisters of Santa Filippa Mareri who collaborated in Kamez. So, the community of the Daughters of Christ the King became the home of three charisms at the service of evangelization. 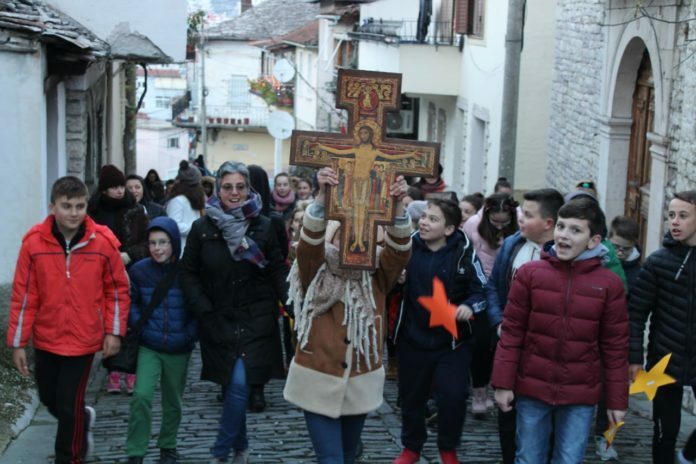 We must also add the idea expressed by the bishop of the apostolic administration, as Gjirokastra has never had a priest and the community feels a strong desire to celebrate the sacraments, even if they are a very small community. The mission took place for five days. The mornings were dedicated to the visit to the students of the school, mainly of the Muslim and Orthodox tradition, and to the visit of the families and the blessing of the houses. It was exciting to visit Memaliaj, a small city where a church was built just three months ago. Thanks to the desire to receive the baptism of a young disabled person Denis Djego of 18 years of age. He is bringing his family and friends by the hand to the knowledge of Christ. In the afternoon there were meetings with young people, the Catholic community followed by celebrations. The most important part was the pilgrimage to the roots of the Catholic Church in Gjirokastër, in the place where there was Church before communism. 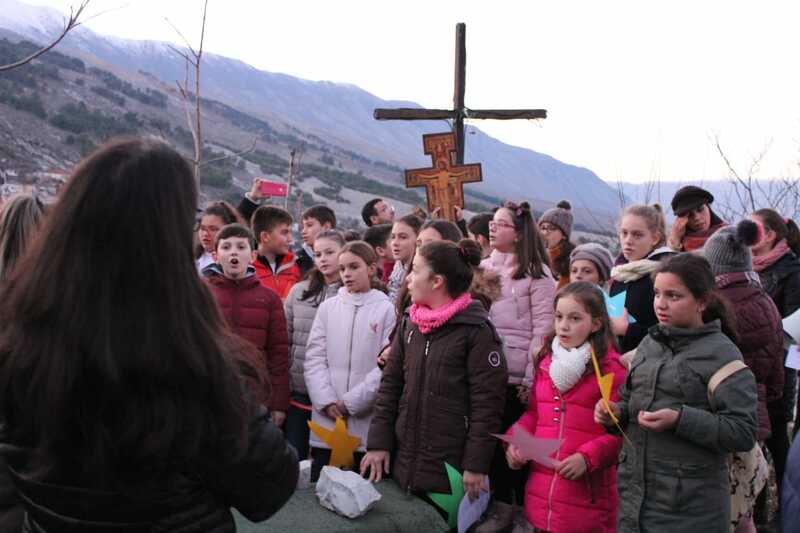 The missionaries, the school children and young people crossed the streets of the historical city, carrying the cross and the stars, surprising pedestrians. A man approached the cross and kissed it. A woman asked what the demonstration was for. But the most shocking thing was that we made a pilgrimage together with the people from four different religions, united by the desire to celebrate the love that Jesus brought us with his birth. On the ground now there is an iron cross, where there was the Church, we prayed and lit the candles. The pilgrimage ended with Christmas carols and dancing around the Christmas tree in the main square. The evaluation of this first mission was very positive and encouraged us to continue on this journey of evangelization.